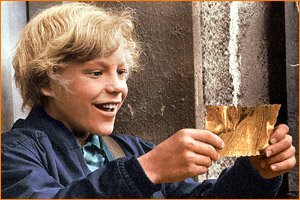 If the handicapper's formula to Breeders Cup riches was as simple as buying a Wonka Bar and unwrapping a coveted golden ticket to kick it in the Chocolate Factory with Willy, Veruca and Augustus, then all of us would be running (or send our broke Grandpa) to the corner story for a shot at glory. For those of us who depend more on handicapping (with a bit of luck sprinkled in), however, we dedicate ourselves to solving one of the most difficult, intricate puzzles in all of horse racing. The 2013 Breeders Cup, showcasing some of the top North American and Western European horses, presents another wonderful challenge, starting with five races on Friday's card from Santa Anita. Generally, I'm not about blogging selections, but the Breeders Cup is one exception, where I've generally had pretty good success and will share my choices. As most horseplayers can attest, finding that "key" horse is critical to any successful Breeders bets. In keeping with tradition, I have allotted a $50 bankroll for Friday and $100 for Saturday's Breeders Cup races (I will handicap Saturday's card tonight and post thoughts on Saturday morning). The Dirt Mile (Race 8, 6:05 p.m. ET) is the best race, in my opinion, with lots of options. I chose this race because of its depth and value, and simply since I am not enamored with any of the other Breeders Cup races on Friday. As I see it, the pace scenario sets up extremely well for Golden Ticket, whose past performances suggest the horse is tactical enough to sit off what I expect will be a frenetic pace and gets the benefit of a relatively easy run into the quick first turn, and I like Joel Rosario's two previous rides aboard this 4-year-old. Golden Ticket's fourth-place finish in the Awesome Again Stakes in late September, too, gave this one a spin over Santa Anita's dirt track, which I view as a favorable lesson. Works look good too. Race 8 is the centerpiece of my wagers, focusing mainly on the Pick 3 (a $20 ticket) and $10 of ancillary wagers keying Golden Ticket. I will include Pants On Fire as a backup on my Pick 3 and might have made him my top selection, if not for post 11 and that Paco Lopez has scant experience over the Santa Anita surface (I'll identify the horses of the second and third legs below). The Marathon (Race 6), as I see it, is the equivalent of betting a bottom-rung claiming race, but with a $500,000 purse and some slightly recognizable names. Validating my opinion that one's just as well throwing darts to find the winner, the favorite is listed at 7-to-2 and the other nine range from 5-to-1 to 10-to-1. Knock yourself out figuring out who can win the race in under a half hour. I'm passing on it. Race 7 (Juvenile Turf) and Race 9 (Juvenile Fillies Turf) are extremely vexing two-year-old races with the added twist of prohibiting "medications or any other substances administered within 24 hours of post time, including authorized bleeder medications otherwise permitted by state regulation." I like the notion of prohibiting race-day medications in general, but as a handicapper have to determine whether taking a horse used to running on Lasix off the medication merits tossing them from the equation. Outstrip (GB), #4, is my top choice in Race 7, though I will go four deep in this first leg of the Pick 4 and use #3 Got Shades (30-to-1), #5 Bobby's Kitten (5-to-2) and #7 Aotearoa (12-to-1) and hope to make it to the second leg. Got Shades looks sneaky-good to me, having run a decent third in an overnight stakes sans Lasix for the first time and gets jockey Gary Stevens, who is 15-for-51 on the Santa Anita meet, so I'm obviously hoping for a bomber score in the first leg but will be happy if either of my four wins. Contrary to my Race 8 tickets, I'll single Golden Ticket in Race 8 for the Pick 4, confident that my horse will win, and if not can live with burning just $10 on that ticket. Yes, still a maiden (0-for-3 lifetime), but is accustomed to running without Lasix and really stepped forward in her last try, a strong third at a 1-mile overnight stakes. Joe Talamo rides this one again, and trainer Eoin Harty has been knocking at the door so far this meet. An impressive French shipper who is 4-for-5, including Grade 1 and 2 wins in Great Britain and France and whose only loss came in a Grade 1 where it appears she was held up in traffic before finishing second by just a length. Seems a legitimate threat. Outside post inflates the odds, in my opinion, but she finished very strong in the Grade 3 Miss Grillo at Belmont in October at the quirky mile-and-a-sixteenth configuration. Seems like a patient sort who might be capable of a big late charge to the finish. Race 10, the Distaff, otherwise is too thin a field, with six horses, and offers little betting value on its own, though to close out my Pick 4 ticket I will single #3, Close Hatches (6-to-1), who is the only horse to have beaten 9-to-5 second choice and potential favorite Princess of Sylmar (#6). The top three in this six-horse field will just be too short a price, and I needed to take a stand and show some conviction. I used Sylmar on the final leg of my Pick 3 ticket starting in Race 8, but refrained from much else with the Distaff. Best of luck to everyone on Friday, and revisit me on Saturday for selections to the Classic and other key races on Saturday's card! Your handicapping looks pretty solid. I also like Close Hatches in the Distaff. My angle with her is I'm throwing out the Kentucky oaks race where she ran evenly. And concentrating on the mother Goose where she trounced dreaming of julia. Good luck to you and your army of followers. Jason, thanks, glad you enjoy! Anonymous, thanks as well, though admittedly mine is one small army! Best of luck to you both this Breeders Cup weekend.